Planning an office party or social night with clients? 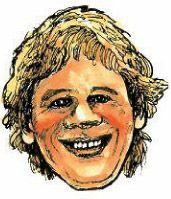 Caricatures are the ideal form of entertainment & a great ice breaker. It's fun, interactive & can be a great form of marketing if we draw the Caricatures onto your company letterhead. We work at engagements, weddings, private parties & large corporate events. We walk around the party drawing quick, fun sketches. 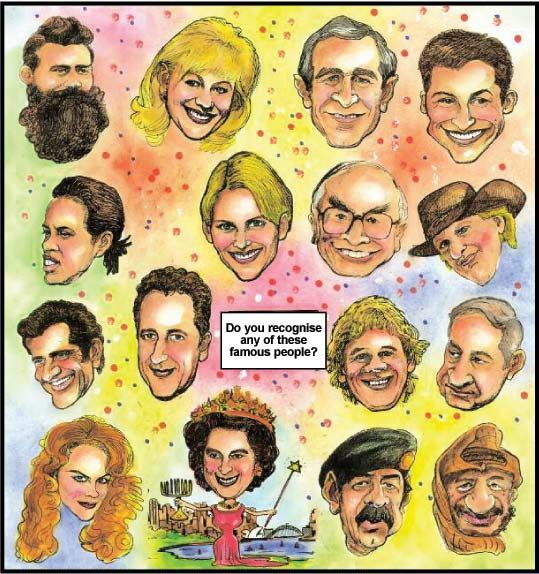 We talk to people, find out what they like to do for fun & draw each Caricature in approx. 3 minutes. You'll love this unique form of entertainment. It makes a great 'Thank You' gift to give to your friends, family, colleagues & staff. Why not have a Caricature drawn as a birthday or wedding gift? Your guests can write messages & sign their names around the border. We specialise in entertaining the guests at Bar & Bat Mitzvah's. We do a beautiful colour portrait of the guest of honour prior to the function date. The artwork is mounted onto a backing board for all the guests to sign at the reception & you can use the black & white artwork for the invitations & stationery. We also come to the function & draw Caricatures of the children & guests. This keeps them entertained & the guests have a nice momento to take home with them. Another idea which has become very popular - we can pre-draw in the studio a giant colour portrait on stretched canvas which is partly pre-painted in the studio. We then come to the party with all the appropriate paints, brushes, etc… & supervise the children as they finish painting the canvas at the function. This concept is unique, interactive & entertaining.